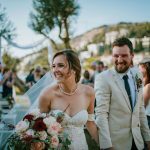 I always dreamt of being a Korcula elopement photographer… and it seems dreams do come true. There hasn’t been a year since when I wasn’t invited to shoot an elopement or a small and intimate wedding on Korcula! Korcula is a bit magical, even though I can’t put my finger exactly on what it is. It’s probably a mixture of ancient Greek culture that took root on Korkyra, the island being relatively undiscovered, having friendly and relaxed people and amazing food & wine. The crystal turquoise sea is teeming with life, there’s a hundred small islets around it, never a drop of rain and olive trees are treated like royalty they are. Now, put an intimate elopement in the midst of this and both romance and beauty will just bloom. 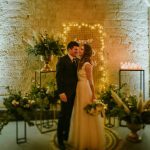 Mia & Vedran come from a huge town not that far from Korcula, but they wanted to get away and get married with only the closest family present. 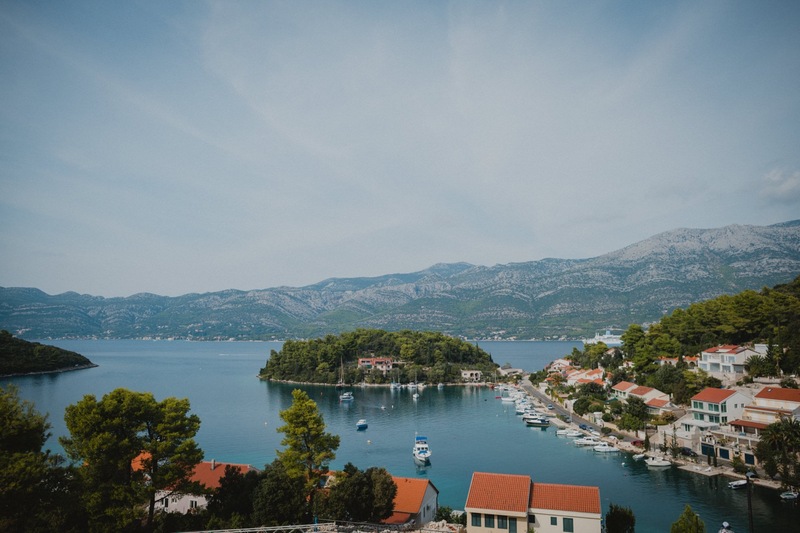 Mia has roots on Korcula, her grandparents lived there, and it’s their little secret in the Adriatic. The whole day was beautiful, from the wild rose wreath on Mia’s head, cool tux on Vedran, to the ancient cathedral in Old Town Korcula and the small restaurant which practically doesn’t have a menu and serves you only the freshest fish caught that very day. Everything here was personal, intimate and up close. We hope we created just such photos as well.